Alan Li is the President of CBRE China. CBRE is a worldwide commercial real estate services and investment firm. The firm has been included in the Fortune 500 since 2008, ranking #207 in 2018. It has also been voted the industry’s top brand by the Lipsey Company for 17 consecutive years, and has been named one of Fortune’s “Most Admired Companies” in the real estate sector for six years in a row. 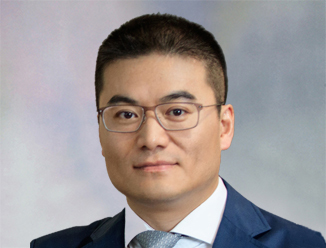 Its shares trade on the New York Stock Exchange under the symbol “CBRE.” Alan Li also leads the Capital Markets business line as Managing Director in the Greater China region. Alan has gained influential professional experience since he joined the commercial real estate industry 18 years ago. Under his leadership, CBRE offers a broad range of advisory services, including advisory and transaction; asset services; capital markets; valuation etc. CBRE has established seven branch offices, achieved significant business growth and gained a distinguished reputation in China. Alan is a member of RICS (Royal Institution of Chartered Surveyors) and a registered real estate broker. He is also a member of All-China Youth Federation and the standing committee of Shanghai Youth Federation, and Vice President of Shanghai Foreign-Invested Enterprises Youth Talent Association. He holds an MBA from Fudan University.